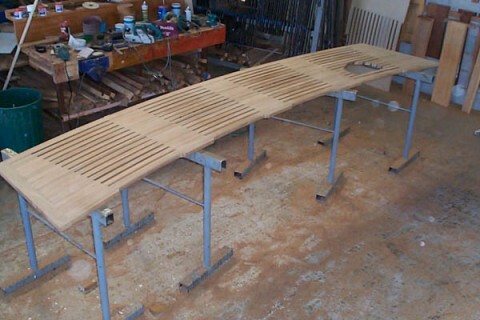 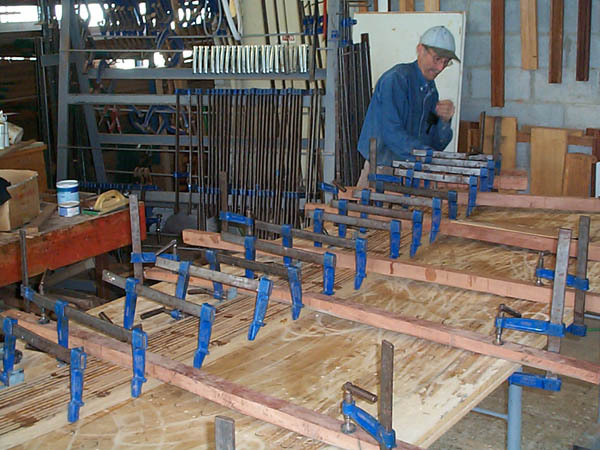 We were fortunately presented with the old boarding platform which provided us with a jig – the old platform was placed on custom wood and angle irons were screwed into place for later use. 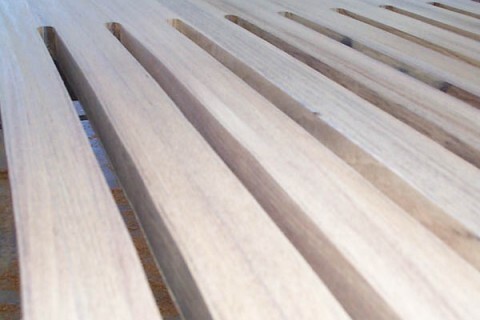 We then epoxy laminated teak strips. 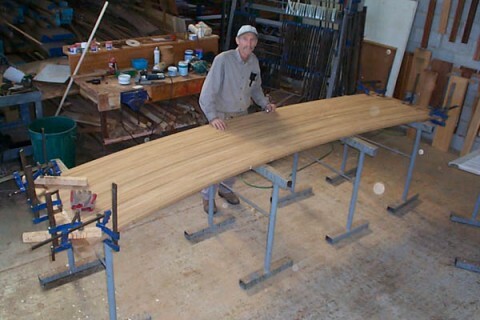 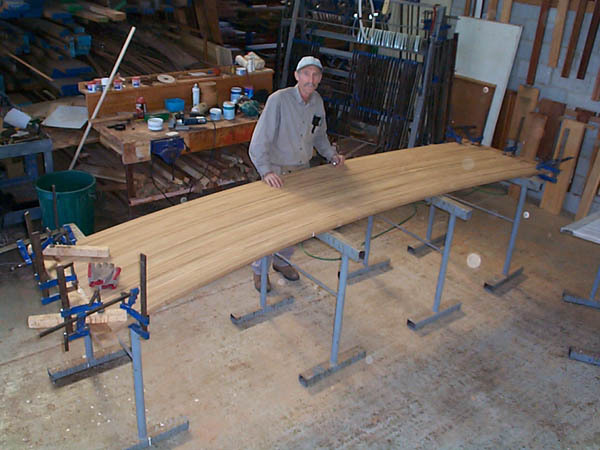 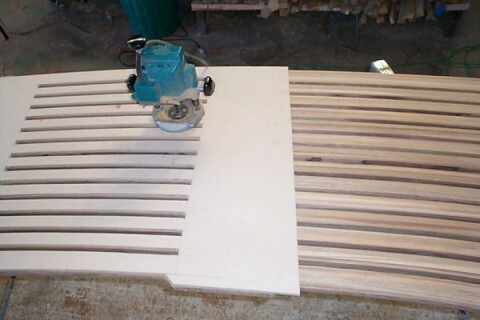 The completed solid platform was then drum-sanded and trimmed to size using a jig saw and belt sander. 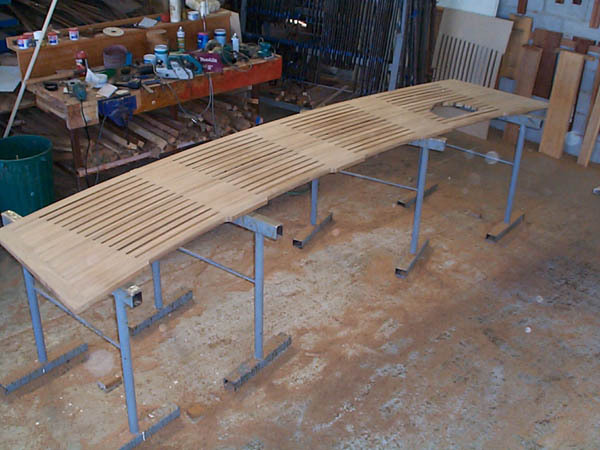 We divided the platform into 4, being sure to mark where the platform was attached to the yachts stainless assembly bracket, and a custom wood template was made. 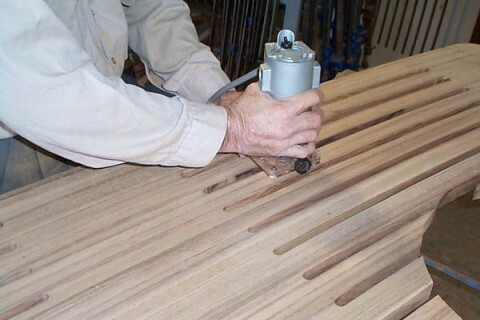 The slots were routed and the top corners of the grooves rolled into pencil rounds using a trimmer. 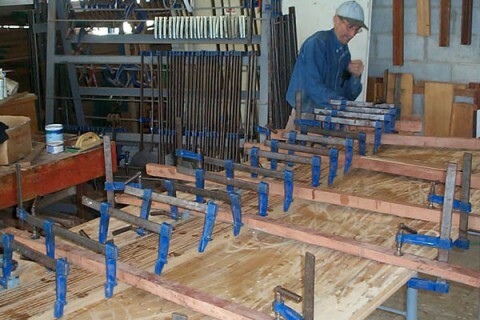 There are many ways to build such platforms – many factors contribute to the methodology chosen. 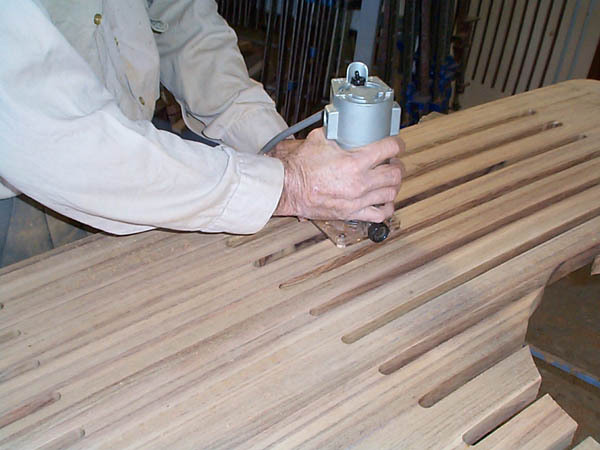 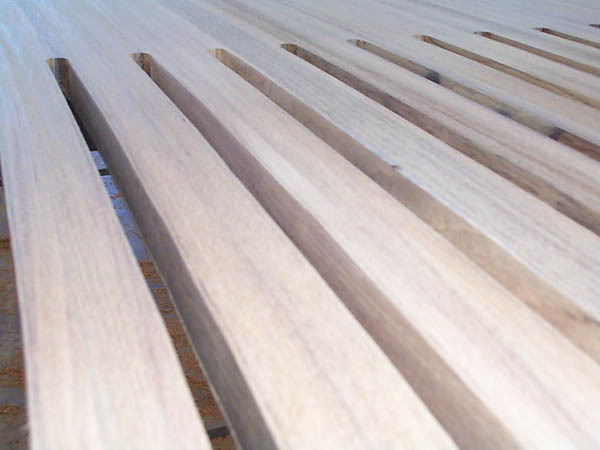 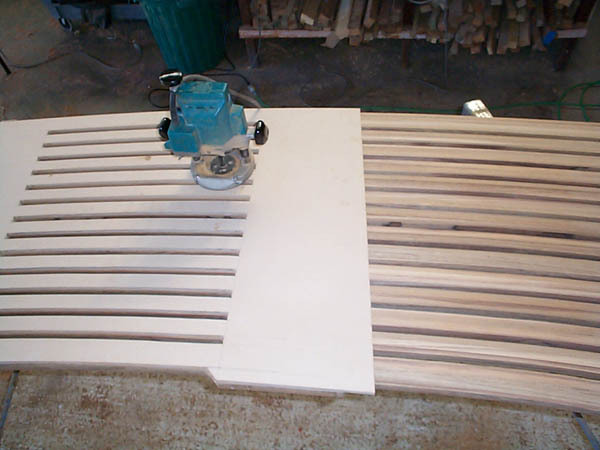 The method above can be adapted to all manner of other projects where a slotted finish is required.